(6191mts. popularly known as Chotta Kailash) is in many ways replica of the better known Mt. Kailash in Tibet, especially in appearance. Adi-Kailash, however is in Indian Territory close to the Indo-Tibetan border full of nature, peace and serenity. Civilization tired by the incessant roar of urban life, will find here a healing quietude.Nearby lake called Parvati Tal catches the mesmerizing reflection of the peak. From Gunji the route branches off to Kalapani, the origin of MahaKali River, and then on to Nabhidhang (3987m, Lipupass is 9kms ahead of this location). At Nabhidhang we can see Aum Parvat which in itself is a miracle of nature, snow lies on the mountain in the shape of a perpetual “Aum” – the primordial sound. Walks in the villages of Gala, Garbiyang, Budhi, Gunji, Napalchu Navi, Rongkong, Kutti itself is enriching and rare experience of tradition & culture in this remote Himalayan inhabitation. You will come across the snow peaks of Annapurna, (Api Massive), the gushing Maha Kali River, enchanting beauty of Chaudas, Byans and Darma valleys and Bugyal full of Himalayan herbs and wild flowers. Adi-Kailash trek is able to transfer trekker’s physical journey into a spiritual experience, a journey in search of truth. Important: Inner Line Permit is required to travel in this destination. It can be procured quickly by submission of application at SDM’s office. OM Parvat is the magical and inspiring Himalayan mountain peak that rises to an altitude of6191 m lying in the Darchula district. It is known by various names such as Adi Kailash, Chhota Kailash, Baba Kailash and Jonglingkong. This mountain is famous for the miracle of nature as it poses an impression of OM naturally which is formed with deposition of snow against black background of the mountain. 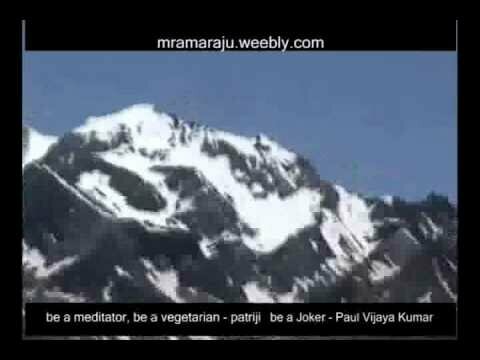 OM is a holy Hindu mantra and is so clearly visible on this mountain. During the months of August — September the dot (bindi) on the semi circle of the mantra is also seen visible. According to the Hindu legends there are eight such OM symbols in the Himalayan Mountains and at present the world has been able to discover only one which we know as — OM Parvat. The picturesque yatra (pilgrimage) to the Sacred Kailash and Mansarovar via the Indian government route via Om parvat.